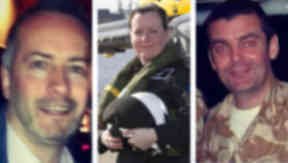 Captain David Traill was on board the helicopter with PCs Kirsty Nelis and Tony Collins, while Gary Arthur, 48, was in the pub. Tributes have been paid to the victims of the Glasgow helicopter crash as their identities emerged in the hours following the accident. 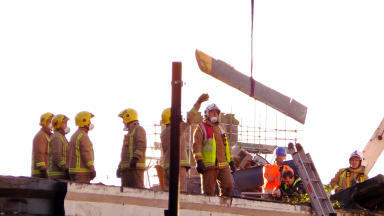 All three crew on board the Police Scotland helicopter died when it fell on the city centre pub on Friday night. Those on board the helicopter have been named as pilot David Traill, police officer Kirsty Nelis and police officer Tony Collins. Police Scotland Chief Constable Sir Stephen House said both constables were members of the helicopter unit and had both previously been commended for acts of bravery. 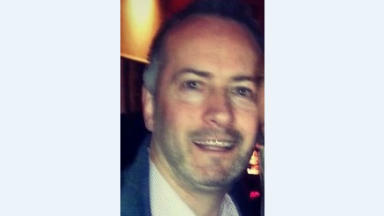 Pc Collins was 43 years old, Pc Nelis was 36 and captain Dave Traill was aged 51, police said. Police earlier confirmed that one of the five people known to have died in the bar was 48-year-old Gary Arthur, from Paisley. Family members have paid tribute to Captain David Traill, the pilot of the police helicopter that crashed into the roof of The Clutha pub at 10.25pm on Friday. The 51-year-old retired RAF flight lieutenant had served in Iraq and Afghanistan during a 20-year career as a Chinook pilot. Capt Traill, from Stenhousemuir, near Falkirk, had no children but was said to have “doted on” his three nephews, The Sunday Times reported. He rose through the RAF ranks to become a Chinook flying instructor at RAF Odiham in Hampshire before leaving service to become a civilian pilot, working for the emergency services. PC Nelis received a bravery award in 2003 when she overpowered a thug armed with a hammer while she was trapped in a lift with him in Greenock. Her brother-in-law, fire commander Paul Nelis, was said to have learned of her death while working at the crash site. Sir Stephen said: "Since the tragic incident on Friday night it has been an extremely difficult time for all those affected. 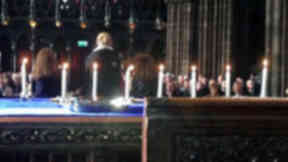 Our thoughts and condolences remain with the families and friends of the people who have died. "I would like to repeat my thanks to all the emergency services and partners who continue to work at the scene in what is a complex and difficult operation. "I would also like to thank the many people who have expressed their sympathies and support for us. Everyone has taken great comfort from these words at such a difficult time." Mr Arthur was the father of Chloe Arthur, a women's under-19 football player for Celtic and the national squad. His daughter wrote on Twitter: "RIP dad - you'll always mean the world to me, I promise to do you proud, I love you with all my heart." Celtic's women’s team manager, David Haley, said: “This is devastating for Chloe and her family. It is a tragedy that Chloe’s father was one of eight innocent victims in this terrible accident - he was regularly seen at Celtic matches, watching his daughter." All the victims and those affected by the tragedy were being remembered at a service at Glasgow Cathedral on Sunday.